Welcome to our Online Registration system. Please read the following and click on the link on the bottom of this page to register. Included with your space is an admission for 1 person for the amount of days you have your space. If you purchase a space for Saturday/Sunday, you may leave a vehicle/tent in your space. Though there will be overnight security on Saturday night, we do not suggest leaving any product accessible to others. Waterfest Shows and/or Atco Dragway are not responsible for loss or damage to your possessions. Please note: Only Used Parts may be sold in the Swap Meet area. No New Parts may be sold in this area. 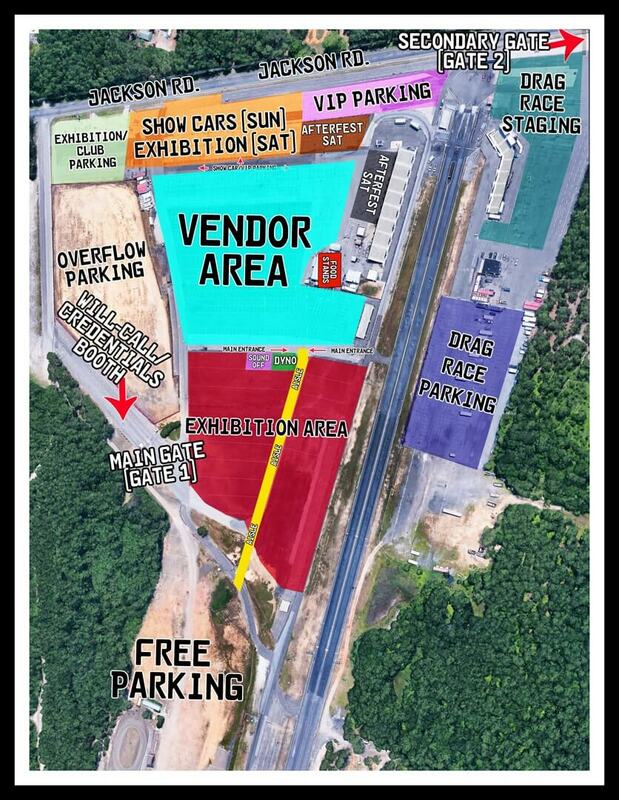 If you are purchasing a Saturday/Sunday space you must be at the track between 10:00AM and 11:00AM on Saturday and between 7:30AM and 8:00AM on Sunday.